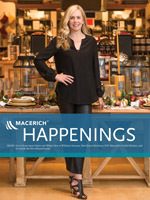 HGTV and Macerich properties will spread yuletide cheer at 15 sites in Arizona, California, Colorado, Connecticut, Illinois, New Jersey, New York, Oregon and Washington, D.C.
Scottsdale Fashion Square today announced that Nobu, the international restaurant sensation, will open its first-ever Arizona restaurant at the acclaimed retail destination. Trina Turk is coming to Arizona for the first time with a retail boutique that will be located at Scottsdale Fashion Square. Cabela’s, the World’s Foremost Outfitter of hunting, fishing and outdoor gear, will open its first Colorado retail store at Mesa Mall on Thursday, May 20, with an official ribbon cutting at 4 p.m.
Insightful retailer interviews and updates about our pipeline, technology, partners, events and more fill Macerich's long-running Happenings magazine. 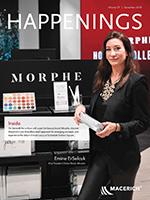 Go beneath the surface with super-hot beauty brand Morphe, discover Macerich’s new BrandBox retail approach for emerging concepts, and experience the debut of more luxury at Scottsdale Fashion Square. Size up the physical retail experience at digitally native leader UNTUCKit, check out Instagram-ready spaces at top Macerich properties and take in new luxury names at Scottsdale Fashion Square. 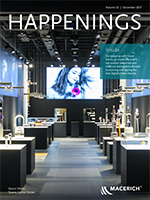 Get swept up with Dyson Demo, go inside Macerich’s top outdoor properties and meet our leasing pros devoted to sourcing and signing the best digitally native brands. Clip in to experience Peloton's rapid climb, check out luxury updates now underway at Scottsdale Fashion Square and meet Macerich's first Chief Digital Officer Kevin McKenzie. 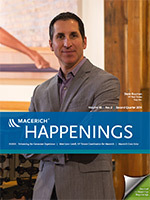 Discover b8ta’s new retail platform for new tech products, see how the Arizona market is back in a big way, meet Leasing VP and Arizona native Kim Choukalas, & explore Macerich’s sustained success in sustainability. 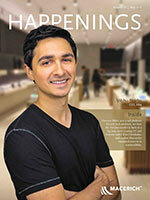 Features include an interview with Louis Vuitton’s SVP, Real Estate and Store Planning John Slavinsky, big news of Scottsdale Fashion Square’s luxury wing renovation, plus more plug-and-play retail for Common Areas. 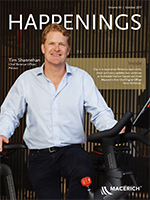 Features include an interview with Primark’s Global Director of Real Estate Tom Meager, pre-opening details on the new Green Acres Commons, plus news on more clicks-to-bricks retail at Santa Monica Place. 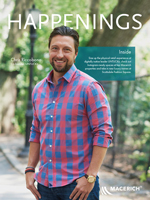 Features include a retailer spotlight with Randy Garutti, CEO of Shake Shack, details on one-of-a-kind Country Club Plaza and a star turn for Kings Plaza at Fashion Week Brooklyn. 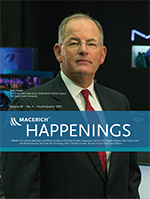 Features include a retailer spotlight with Bob Hayes, SVP Global Store Operations, The Estee Lauder Companies; insight on new digital displays, and a pipeline update as well as a recap from Ciao Italia Santa Monica. 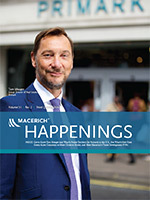 Features include a retailer spotlight with Janet Hayes and What’s New at Williams-Sonoma, Meet Jamie Bourbeau, SVP, Macerich’s Outlet Division, and Go Inside the New Macerich.com. 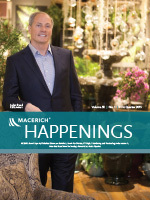 Features include a retailer spotlight with John Reed, Arhaus CEO, insight on Macerich’s new property websites and an impressive turnout for Fan Fest Scottsdale. 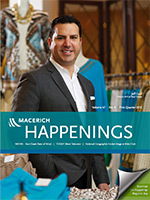 Features include a retailer spotlight with Carlos Alberini, Lucky Brand CEO, Santa HQ, and an update on Fashion Outlets of Niagara Falls and Candlestick. 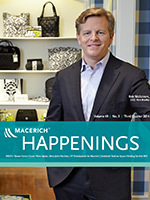 Features include a retailer spotlight with Rob Wallstrom, CEO of Vera Bradley, the opening of Tysons Corner Center Plaza and an update on Macerich’s redevelopment projects. 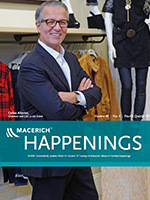 Features include a retailer spotlight with Steve Rouman, VP Real Estate of Gap Inc., and enhancing the customer experience to deepen our relationships with our shoppers. 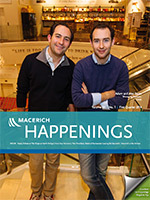 Features include a retailer spotlight with Adam and Alex Saper, Managing Partners of Eataly, and attention-getting new retail and restaurant attractions at Macerich’s Shops at North Bridge. 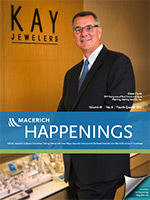 Features include a retailer spotlight with Dave Clunk, Sterling Jewelers SVP-Designate of Real Estate and Store Planning, and insight on the holiday shopping season from Dana Telsey. 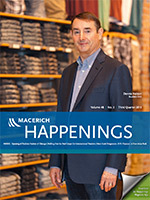 Features include a retailer spotlight with Dennis Nelson, Buckle’s CEO, and insight on our latest opening, The Fashion Outlets of Chicago. 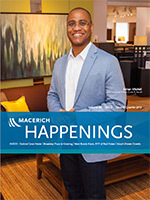 Features include a retailer spotlight with Adrian Mitchell, Crate & Barrel’s CFO, and Macerich’s Fashion Outlets of Chicago. 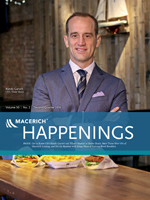 Features include a retailer spotlight with Jeff Gaul, Chico’s SVP of Real Estate, and Macerich’s expanded footprint on the East Coast. 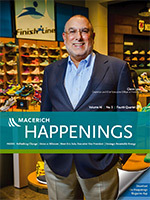 Features include a retailer spotlight with Glenn Lyon, Chairman and CEO of Finish Line, and targeted improvements enhancing key properties. 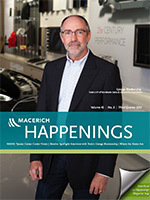 Features include a retailer spotlight with George Blankenship, Tesla’s VP of Worldwide Sales & Ownership Experience, and new vision for Tysons Corner Center. 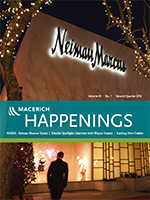 Features include Neiman Marcus opening, a retailer spotlight interview with Wayne Hussey and Macerich's exciting new outlets. 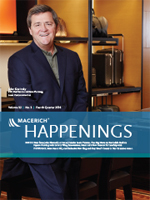 From sustainability designations and awards for cutting-edge design to recognition for civic responsibility and more, Macerich is well regarded for its leadership in the retail real estate industry.